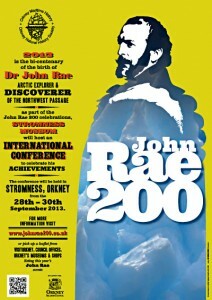 Great to see John Rae finally getting the recognition he deserves on his 200th birthday. Never heard of him? Me neither, until I came across the story of Britain’s most undervalued Arctic explorer a few years ago in Orkney. Born in Stromness, Dr Rae’s accomplishments tower above those of many of his more famous Victorian contemporaries. Starting his career as a surgeon with the Hudson Bay Company, he was the first to identify the last link in the elusive Northwest Passage between Atlantic and Pacific – a fact Amundsen acknowledged after he more famously completed the voyage in 1905. The vitriol of the establishment inevitably sprayed forth. Lady Jane Franklin waged 19th century media war on the man who had dared to impugn the reputation of her explorer husband, enlisting the help of Charles Dickens who found it unthinkable that the English Navy “would or could in any extremity of hunger, alleviate that pains of starvation by this horrible means”. 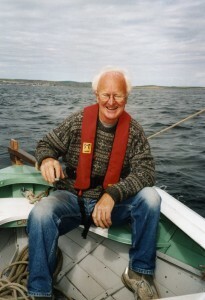 “It was a classic case of shoot the messenger,” said Len Wilson, a local seafarer who was campaigning to restore Rae’s birthplace when I visited as part of my travels for Adrift in Caledonia. Ironically, it was Rae’s particular strengths in the Arctic that proved his Achilles’ heel in the profoundly racist colonial world of 19th century London. He had learned his tracking and survival skills from Cree Indians and Inuit who called him Aglooka (“he who takes long strides”) in recognition of his expertise with snowshoes, on which he covered 1,200 miles over two months in 1844/45. But his willingness to trust the eye-witness reports of “Esquimaux savages” ensured he never received the recognition he deserved – though later discoveries confirmed their story. 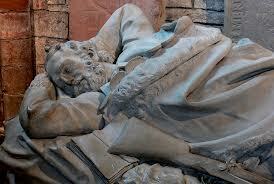 He died in 1893, still willfully misunderstood for people who were not yet ready to fraternize with those they feared. I’m sure Len will be delighted to see Rae properly honoured for his truth-telling at this weekend’s John Rae 200 conference, attracting delegates from across the world to his native town. Amid a blizzard of talks and papers, a new statue will be unveiled on Stromness Pier Head, and writer in residence is Ken McGoogan, whose excellent biography tells the whole story. It would be heartening to think that John Rae was simply ahead of his time – that had he travelled now, he would have been feted as the hero he was, not tamed or crucified. But every age has its unpalatable truths. I guess the stories of modern-day pioneers like Bradley Manning and Edward Snowden show that the establishment has simply moved on to different certainties. Always tell the truth. Easy to say. I only hope I have the courage to live it at the moment when it costs the most. I guess the key is to be philosophical, self-forgiving and remember that truth-tellers down the ages – Gandhi, MLK, Jesus of Nazareth –always got a rough ride, but usually prevailed in the end. John Rae seems not to have taken his bruised ego too seriously – at least on the evidence of his memorial in St Magnus Cathedral in Kirkwall. I went to see it one summer evening, as the sun slanted through the stained glass windows. I half expected to find him striding forth in snowshoes, but he was reclining – not in death, but with his fur-cuffed sleeves thrown casually behind his head, a rifle at his side, an open book lying on top of a bearskin rug, as if on a Sunday picnic. It’s the perfect attitude to a life adventure we can never truly control. His relaxed, open expression seems to say: the truth won’t please everybody – but why let that spoil the journey? 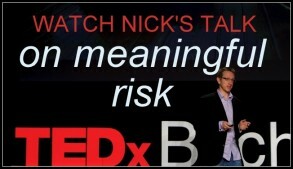 Nick Thorpe is an award-winning writer, speaker & coach. He has contributed to national newspapers & BBC Radio 4 and is the author of three books.